Judges and lawyers know that – if someone intentionally destroys evidence – he’s probably trying to hide his crime. American law has long recognized that destruction of evidence raises a presumption of guiltfor the person who destroyed the evidence. 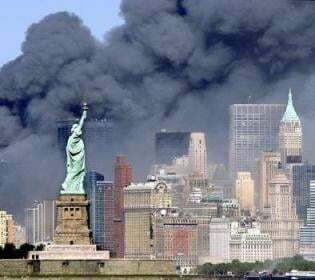 For example, it was revealed last week that the judge overseeing the trial of surviving 9/11 suspectsconspired with the prosecution to destroy evidence relevant to a key suspect’s defense. And see this. Moreover, as reported by ACLU, FireDogLake, RawStory and many others, declassified documents shows that Senior Bush administration officials sternly cautioned the 9/11 Commission againstprobing too deeply into the terrorist attacks of September 11, 2001. Zelikow fired a staffer, who had repeatedly protested over limitations on the Saudi investigation, after she obtained a copy of the 28 pages outside of official channels. Other staffers described an angry scene late one night, near the end of the investigation, when two investigators who focused on the Saudi allegations were forced to rush back to the commission’s offices after midnight after learning to their astonishment that some of the mostcompelling evidence about a Saudi tie to 9/11 was being edited out of the report or was being pushed to tiny, barely readable footnotes and endnotes. The staff protests were mostly overruled.